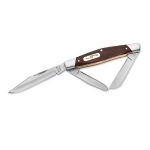 Find the Best Pocket Knives! Welcome to Kniferating.com! 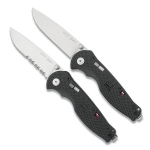 We currently have 1196 knives listed and 1974 knife reviews! The purpose of this site is to provide a venue for knife reviews that is free from the bias of any one person. Whether you are a backpacker looking for the best survival knife, an LEO looking for a good tactical knife, a boy scout trying to choose the best folding knife or multitool, or just an average joe looking for the best pocket knife for every day carry, we have you covered. In addition, we also discuss fixed blade knives, hunting knives, combat knives, machetes, self defense knives and a whole lot more! Please take a few minutes and help your fellow knife enthusiasts by writing a review of one or all of your knives! Below is a chart showing the best knives on the site as reviewed by users. 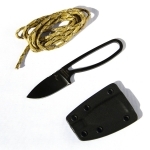 Each of the following knives is absolutely top quality and gets our highest recommendation. Keep in mind that there are many more great knives out there, but if you can't decide on a knife after searching the site, choose one off this list and we promise you'll be happy! I bought Buck Trio for different purposes. It’s lightweight but robust and convenient to carry in a pocket. Feels good in the hand. It’s well-built, razor-sharp and functional, perfect for everyday chores. I use it almost every day. I purchased another one as a gift for my father and he was really pleased. He uses it for hunting and fishing. An excellent knife for the price. I’ve been carrying my Microtech Ultratech daily for about a year. It’s one of the best OTFs I’ve ever owned. High-quality Elmax steel, excellent ergonomics and blade geometry. Great for general cutting daily use at work and at home. It’s quite expensive though. But I think it’s worth it. Found this flash11 underneath the radio equipment in the turret of a Bradley Fighting vehicle. The nut was missing from the blade pin. I repaired it and have used it for everything. The blade has a little slop but still useful. A great every day carry. Blade almost used up now. I own this knife now for over 2 years. I did buy it specialy because of it's intended use. I own and use about 35 diferent knives. Most designed for tactical and/or Law enforcement use. From light to real heavy duty. Due to the national law and regulation, edc'ing a folder is no problem, unless you get to certain area's. But.. back to the knife. 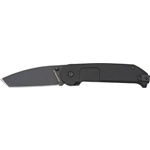 I was searching for a razor sharp "tactical" folder that i could carry descrete with my suit during certain assignments. Small, but bigg enoug to get the job done when it is needed. I prefer N690 co steel because of the razor edge i can get on that stuff without to much problems. After a search i found what did meet up with my wishes and more. The ER BF2 ct. 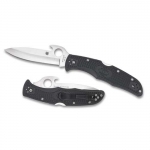 The quality of the design, the fit and finish, the choice of materials used, the liner lock with the extra security feature, the deep carry pocketclip. I love it. Is a tactical blade, more then capable of what i did buy it for. The edge is razor sharp from factory. I light stropping run made my personal finishing touch. It is not to heavy to carry in the pants of a suit. I think it is a solid built knife. It doesnt draw attention from your surroundings, even not when it is closed on the table of a restaurant. But opened.. wauw. The design of the handlescales is typical. Smooth and not destructive for clothing, but due to the ergonomics you will have more then enough grip. The coating of all parts is very well done and very durable. Edge retention is normal for the steel used. Resharpening is no difficulty if you know how to sharpen a tanto blade. The size is just perfect for me. All in all. A great knife usable for many tasks. From kitchen to tactical. From gentleman to lawenforcement. After 2 years of use my knife is still doing perfect with minor maintenance. Worth every cent.